Major League Soccer Commissioner Don Garber announced today a new strategy for the Los Angeles market. Effective immediately, Chivas USA will cease operations. On Thursday, Oct. 30, the League will announce a new MLS Los Angeles club and ownership group. The new club will begin play in 2017. The decision on Chivas USA was made unanimously by the MLS Board of Governors, after a comprehensive review of the League’s strategy for the Los Angeles market. As a result of this decision, the League will play with 20 clubs in the 2015 season. “As part of our new strategy for Southern California — a major hotbed of soccer participation and fan support — we believe that engaging with a new ownership group which has the resources and local community ties, and a plan for a dedicated soccer-specific stadium, provides us with the best chance for success,” said MLS Commissioner Don Garber. With the addition of Orlando City SC and New York City FC in 2015, MLS will have 20 clubs for the league’s 20th season and will feature a new conference alignment. Most notably, the Houston Dynamo and 2013 MLS Cup Champions Sporting Kansas City will move to the Western Conference, creating two 10-team conferences. “Real change has been needed for many years with respect to the Chivas franchise. Therefore, we are not surprised by today’s announcement. year, there will be more opportunities for these players to continue to showcase their talents in MLS. So here is step one. @thesoccerdon writes a letter http://t.co/MIGllQO6Nq Now step two, lets get in contact with new owners on Thursday. 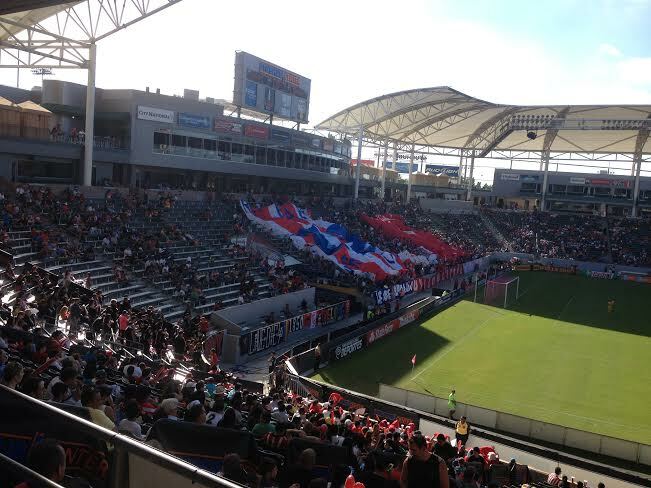 LANG MLS beat writer Phil Collin has more here, while this week’s soccer column on the demise of Chivas USA is here. The MLS launch of the new Los Angeles team and ownership group is set for 11 a.m. Thursday in Hollywood. This entry was posted in Chivas USA, Major League Soccer by Nick Green. Bookmark the permalink.